2 section (diameter 35, 29mm). Rotation: 160 degrees vertically and 180 degrees horizontally. Load, at full extension: 4.5kg. 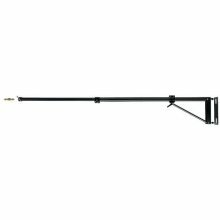 Minimum extension: 120cm. Maximum extension: 210cm.